With 405 positive votes, the Italian Chamber of Deputies approved the bill to authorise the ratification and execution of the Council of Europe Convention on the Manipulation of Sport Competitions which was already approved by the Italian Senate. The text identifies AAMS as the National Platform for the regulation of sport betting – in line with article 13 of the Convention. The ratification will be official as soon as the Secretary general of the CoE receives the ratification instrument through the diplomatic channels. 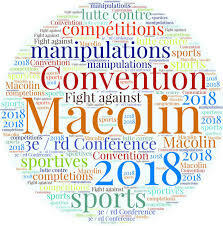 GLMS – together with its collective members EL and WLA – are also partners of the Keep Crime out of Sport – KCOOS+ project which seeks to support states with the implementation of the major provisions of the Macolin Convention.